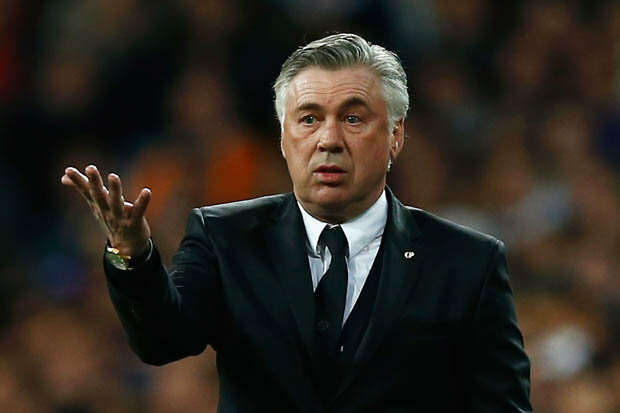 After only two seasons, Carlo Ancelotti was relieved of his coaching duties by Spanish League club Real Madrid. His firing is just a year removed from winning the Champions League in his first season. Being a head coach in any sport is a difficult job. Coaching a La Liga powerhouse such as Real Madrid has you on pins and needles. Finishing two points behind La Liga champion Barcelona and a loss to Juventus in the Champions league semifinals this year were the daggers that cost Lancelotti his job. In addition to the Champions League in his first year, Ancelotti guided Real to their 10th European Cup and the the Copa del Rey. During his second season, Ancelotti won the UEFA Super Cup and the FIFA Club World Cup. Add in a 22 game winning streak this past season and it shows how important wining major trophies are to club teams. Not even the support of superstar Christiano Ronaldo could give Ancelotti another year to try to secure a major trophy. Ronaldo tweeted about Angelotti. Ancelotti will not be without offers. In fact, there is speculation he will return to AC Milan where he won two Champions League titles. Yet, Ancelotti says he plans on taking a year off and residing between Madrid and Canada after he has back surgery he had been putting off. In the end, even Ancelotti acknowledges coaching Real comes with a lot of pressure and stress. I definitely believe Ancelotti is a strong manager and should have been given another year. The new Real coach needs to understand there will be incredible expectations bestowed upon him and the job may be short-lived if major trophies are not won. Same holds true for coaches in Atletico Madrid, Barcelona, Chelsea, Bayern Munich, and Juventus.